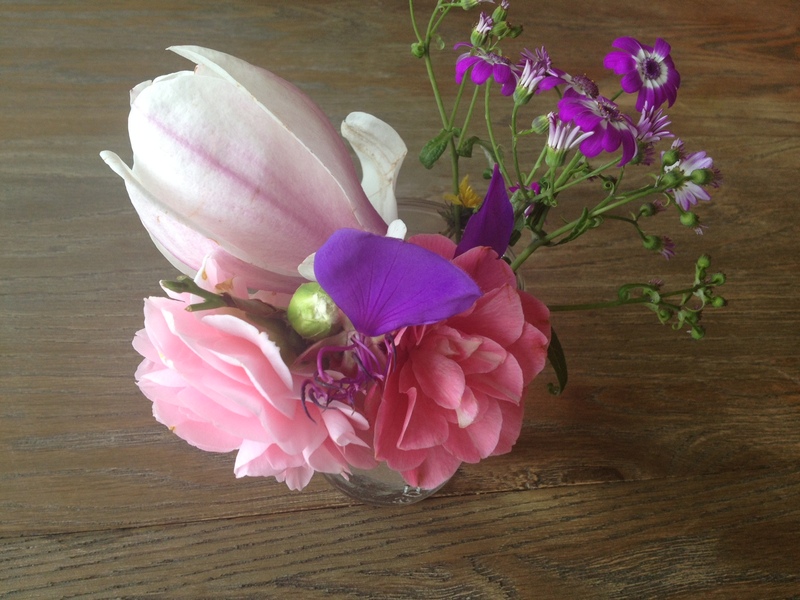 One of the first little bouquets from our garden this Spring. Some of the bulbs I planted last year are also coming up. Here’s Violet home sick from school today singing her Grandma’s jump rope jingle, “My Boyfriend’s name is Tony”. Beautiful flowers! And I love the stuffy-nose song.